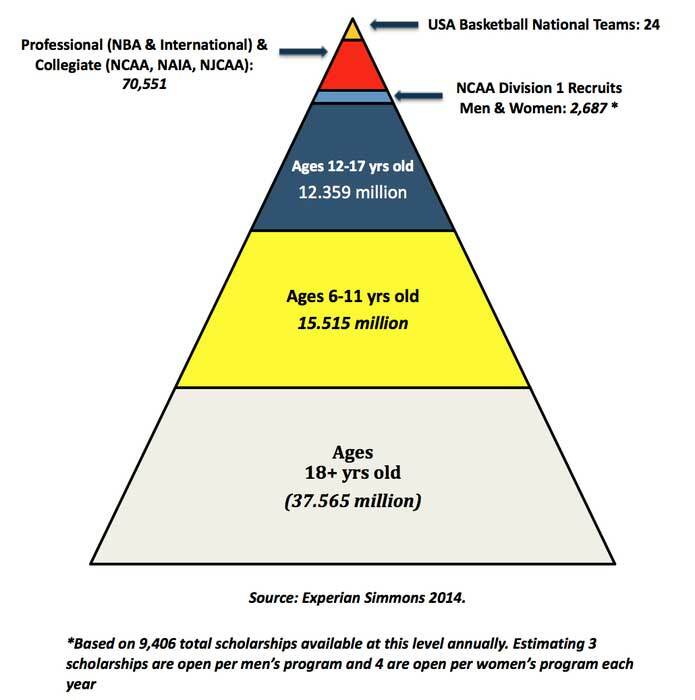 The USA Basketball Development Model was created to help guide players, coaches, parents and administrators through the sport. The model includes many types of initiatives, tools, resources and offerings, all of which focus on the health and well-being of young people to enhance enjoyment, participation and development in the game. As part of its development model, USA Basketball is excited to present the Youth Development Guidebook as a resource for players, coaches, parents and administrators. The guidebook further explains the USA Basketball Development Model philosophy and includes the Player Development Curriculum, a robust and progressive teaching and playing standard for all levels of the game. We hope you will utilize this guidebook, curriculum and the USA Basketball youth development philosophy while guiding young people. We urge you to continue your own development in the game and take advantage of all the resources and initiatives that USA Basketball has to offer. The links below are for free chapters from the USA Basketball Youth Development Guidebook. Ready to obtain your USA Basketball Coach License? Click HERE to register.